If anyone asks me what the hardest part of parenting is so far, I would easily tell you that it is the lack of sleep. Troy and I have spent more time talking about sleep in the last 18 months than we have our entire lives. When you are sleep deprived, it is so hard to go through your day normally and it feels terrible. We were not blessed with one of those babies that sleeps through the night at 2 months old. In fact, sometimes, Adalyn still gets up in the night at 18 months old. Thankfully, this is not too often but all through the first year, she was almost always up in the night to nurse. After dinner, this is our time to run around, wrestle, play, etc. We have learned that in order to get Adalyn ready for bed in time, we need to have some calm time before bed. This includes reading or sitting and having a snack together. We change Adalyn's diaper and put her pajamas on in her room to signify that it is almost time for bed. We have been liking the Huggies OverNites because Adalyn was starting to pee through her clothes sometimes and these are absorbent for up to 12 hours helping her sleep better. We have also been liking the Huggies Natural Care Wipes because they are gentle on her sensitive skin. The worst is when we have to change Adalyn's diaper in the night because it gets her very riled up and she has a hard time falling back asleep. These diapers wick away liquid to keep baby's skin dry overnight. Visit this page to get $2 off your first pack of Huggies OverNites – for a limited time – and find other Huggies offers. I swear by using a sleepsack. When Adalyn was 0-6 months, we swaddled her for every nap and bedtime. Now, we use a sleepsack which helps to keep her warm in the winter and helps her sleep better. Whenever we skip using this, she will not sleep! As part of Adalyn's bedtime routine, we always cuddle a little bit and rock her. A lot of times, we sing as well. Usually crazy made up songs that I would never want anyone to hear lol. Adalyn uses a little white noise machine that helps to calm her down. We use this nearly every night and when we take it on a trip, it helps her sleep because it reminds her of home and keeps her bedtime routine consistent. The last step to our bedtime routine is to give Adalyn her pacifier and lay her down. We say "I love you" and then leave the room. For at least the first year, she cried for a long time each night where we kept having to go in her room, rock her, etc. Now, thank god, she either does not cry at all or just for a couple minutes. Adalyn goes to bed between 7 and 7:30 most nights. I love this because not only is it good for her, Troy and I get a little date night every night and we cherish that time that we can spend together as a couple. If anyone is reading this that has a baby that is up a lot in the night, hang in there. I was in your shoes not too long ago and it is very hard but it will get better eventually. 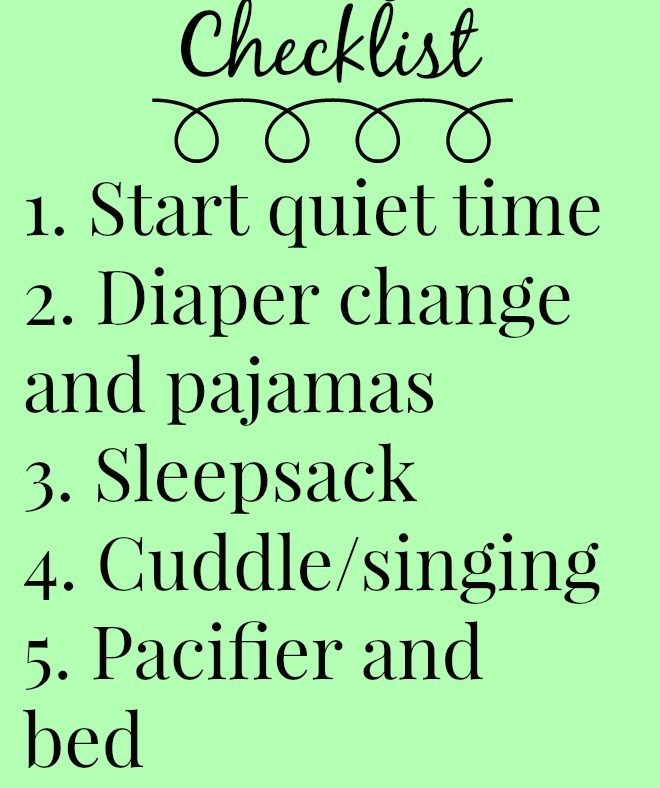 Just stick with a consistent routine and with time and age, your baby will sleep better. That is one of the cutest babies I've ever seen. God bless.